Paul A. Lichtefeld, Jr. born April 1964 in Louisville, Kentucky, came into the family business after several years of corporate experience through companies such as PepsiCo KFC and Rally’s Hamburgers. Paul Jr. graduated from Trinity High School in 1983, and went on to Eastern Kentucky University on a full athletic scholarship for football, where he played for five years under Coach Roy Kidd. During the fall of 1988, Paul graduated from Eastern University with a B.B.S. most interested in Commercial Real Estate, and Development. Paul Jr. was a member of Tau Kappa Epsilon Fraternity where he held two offices, Rush Chairman and Sergeant at Arms. From college Paul Jr., was recruited by PepsiCo for a position with Kentucky Fried Chicken’s National Real Estate Department. Paul spent ten months at Kentucky Fried Chicken’s Corporate Headquarters in Louisville, Ky. as a Real Estate Analyst. After training in Louisville Paul Jr. was promoted to Real Estate Development Coordinator and moved to Chicago, Illinois central division office. After two and a half years with PepsiCo KFC in Chicago, Rally’s Hamburgers recruited Paul as a Project Manager, handling real estate and construction in the Louisville area. Rally’s moved Paul back to Louisville, where he realized construction management duties full-time with Rally’s Hamburgers. After eleven months in Louisville Mr. Lichtefeld was transferred back to Chicago, IL where he developed Chicago, Michigan, Wisconsin, Illinois, Indiana, Ohio and Missouri for the next two and a half years. In 1994 Paul Jr. left Rally’s and became the Project Manager/Construction Liaison for Green Investment Group, renovating RTC apartment complexes in Dallas and Fort Worth, Texas for one year. After seven years of corporate development experience, In 1995 Paul, Jr. joined the family owned construction business and has brought some of the development strengths and strategies from the corporate realm to the family business. Currently, Paul Jr. is handling sales, marketing, and senior project management responsibilities for the company and serves as the primary liaison between Butler Manufacturing (Metal building systems) and Lichtefeld design build construction services. Since 1995 Paul has been apart of the family sales team in increased sales from 1 million annually to 20 million annually in recent years. 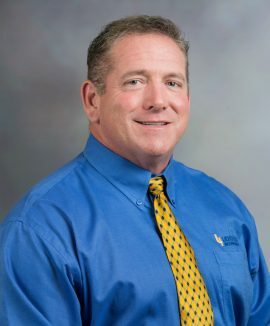 Paul Lichtefeld, Jr. is currently Vice President of Construction at Lichtefeld, Inc. handling sales, permitting, estimating, construction management, field personnel management, marketing, web design and updating. Paul Jr. is the primary representative handling Butler Manufacturing Building Systems for the company. Paul was selected by Butler Mfg. to sit on the Advisory Council in April 2002. He currently assists Butler Mfg. in the areas of quality and price control. Paul Jr. has been recognized by Butler Manufacturing as an outstanding Butler builder in 2006 receiving the Falcon Club award. The award signifies an outstanding builder whose energies, ideas, and enthusiasm become instrumental in achieving a greater bond between builders across the nation while serving the Butler Advisory Council. Paul Jr. served at a chair person for the Lincoln Heritage Council sporting clays fund raiser event. The sporting clays event raises money for the Boy Scouts of America. Paul Jr. is the director of climbing and repelling for the Lincoln Heritage Council BSA Troop 327. Acquiring his certification from Philmont Scout Ranch in New Mexico in 2009. He also serves as an assistant scout master for Troop 327 St. Albert the Great Church. Paul Jr. currently coaches football handling the offensive line for the freshman class at Trinity High School, a local catholic, all male college prep. school. From 1995 to present, Paul Jr. has been responsible for constructing over Four million square feet of institutional, office, industrial, distribution warehousing, medical and dental facilities as well as churches and schools in and around the Louisville market. Project sizes range from 5000 sq. ft. to 300,000 sq. ft. cost range approximately from $300,000.00 per project up to $12,000,000.00 per project.